Partnering with a trusted, reputable mesothelioma lawyer can give you an advantage when seeking compensation for your asbestos-related injuries. The Centers for Disease Control and Prevention reported in 2009 that 18,068 Americans died of mesothelioma from 1999 through 2005, an average of about 3,000 patients per year. According to estimates, another 1,500 die annually from asbestosis, while the number of asbestos-related lung cancer deaths has been set as high as 8,000 per year. The toll continues to climb. A former assistant U.S. surgeon general, Dr. Richard Lemen, told the U.S. Senate in 2007 that another 270,000 to 330,000 deaths are expected to occur over the next 30 years. Often, asbestos victims are those who can least afford the expensive medical treatment required to fight the disease. For instance, the construction and maintenance industries account for thousands of patients. Asbestos-related diseases often deprive families of financial security during retirement years, even though many of the companies that manufactured, distributed, and used asbestos continue to profit. A former assistant U.S. surgeon general, Dr. Richard Lemen, told the U.S. Senate in 2007 that another 270,000 to 330,000 deaths are expected to occur over the next 30 years. For those diagnosed with mesothelioma, hiring an established lawyer marks the crucial first step toward holding companies accountable and seeking compensation for the damages caused by asbestos exposure. Choosing a mesothelioma lawyer is a very personal decision. The ideal lawyer is not only equipped with resources and experience necessary to get you the compensation you deserve but also is responsive to your needs, empathetic to your unique medical situation, and wholly invested in your family’s future. How knowledgeable are you about the different options for seeking compensation? Can you be easily reached to answer questions I may have during the process? Do you have the resources needed to make my cases successful? You’ll find few lawyers can surpass the experience, resources, and compassionate legal help that Weitz & Luxenberg attorneys have provided asbestos victims for more than 30 years. With 33,000 asbestos cases under our belt, we’re ready to help even more families seek justice. Diagnosed with mesothelioma and need legal assistance? We can help. More than one avenue of compensation exists for mesothelioma cancer patients and their families. Depending on your situation, you may choose to file a personal injury or wrongful death lawsuit and/or submit a claim against an asbestos bankruptcy trust. No matter what path you ultimately choose, Weitz & Luxenberg lawyers are committed to making the process simple and stress-free to give you more time to focus on your health and your loved ones. One of our first court victories came in a historic consolidated trial on behalf of 36 shipbuilders exposed to asbestos at the Brooklyn Navy Yard in the 1940s and 1950s. The verdict: a $75 million victory that changed the landscape of asbestos litigation. Over the last 30 years, Weitz & Luxenberg lawyers have helped more than 50,000 clients navigate the most trying time of their lives, offering significant personal attention while winning a remarkable $8.5 billion from asbestos verdicts and settlements across the U.S.
Mesothelioma remains as incurable as it is unpredictable. The right mesothelioma lawyer can help provide clients with a sense of stability and peace of mind during a period of incredible emotional and financial turmoil. Weitz & Luxenberg’s dedicated team of attorneys, investigators, and support staff defines how a successful asbestos-litigation firm should fight on behalf of its clients. 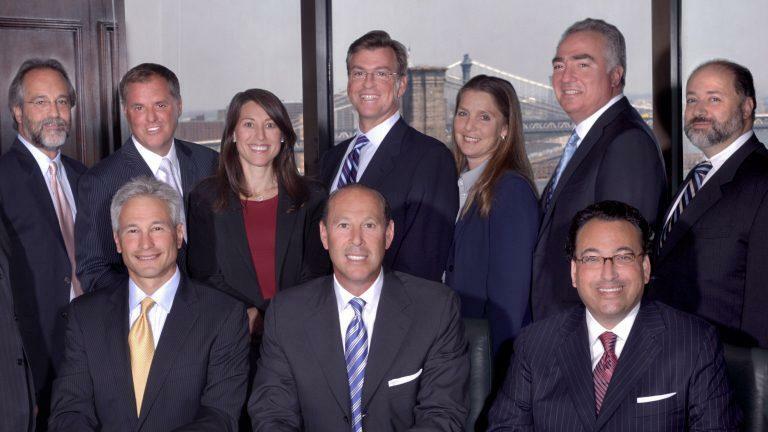 Our attorneys handle most everything for you, making the whole process easier. If you have an important question about your case, you need to know you can get in touch with your mesothelioma law firm as soon as possible. Our attorneys will walk you step-by-step through the legal process, making sure you are notified of every development. We also have an experienced, comprehensive Client Relations department that’s on call 24/7 to answer questions and ensure that all your needs are met efficiently. Identifying when and where you were exposed to asbestos is crucial to your lawsuit. Without this information, it may be difficult to file a claim. Our mesothelioma attorneys are familiar with common asbestos-containing products and companies and can help you gather evidence related to your asbestos exposure. We set the standard for complex case management and prosecution, handling cases of every size with comprehensive resources and sophisticated technology that smaller firms cannot support. Every asbestos lawyer working for Weitz & Luxenberg is proud of the firm’s reputation for providing effective mesothelioma legal support for workers diagnosed with this asbestos disease. A Queens man who worked removing asbestos for eight years developed mesothelioma and W&L brought suit against industrial products manufacturer Crane Co. If mesothelioma has altered your life and you are seeking compensation, Weitz & Luxenberg would be proud to handle the legal burden, without contributing to additional financial concerns. Cases are handled on a contingency basis, which means you pay nothing up front, and we receive no fees unless we obtain a verdict or settlement on your behalf. The consultation is free, too. With four offices, our firm has an unparalleled ability to fight on behalf of our clients, wherever they happen to live. Please contact our office at (877) 516-9192 or fill out a form to speak to one of our experienced asbestos attorneys. Did you develop Mesothelioma after exposure to asbestos?